Picturing China is the first post-Cold War intensive study comparing and contrasting press coverage of an important period in East-West relations to the "what we know now" of archival history. 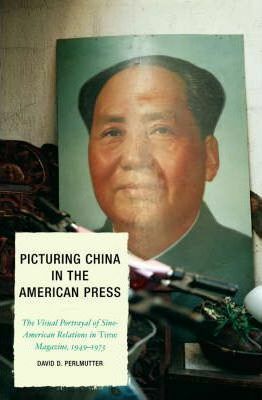 The book reveals the many instances when the American public and journalists, as well as our government, floundered in their attempt to understand China and so serves as a cautionary tale for all those who wish to comprehend the complexities of other nations and other peoples via journalism's "first draft of history." David D. Perlmutter is professor and associate dean for graduate studies and research in the William Allen White School of Journalism & Mass Communications at the University of Kansas. A documentary photographer, he is the author of three books and the editor of a fourth on war, politics, visual images, new media, and public opinion: Photojournalism and Foreign Policy: Framing Icons of Outrage in International Crises (Greenwood, 1998);Visions of War: Picturing Warfare from the Stone Age to the Cyberage (St. Martin's, 1999); (ed.) Guide to Political Communication (LSU Press, 1999); Policing the Media: Street Cops and Public Perceptions of Law Enforcement (Sage, 2000).